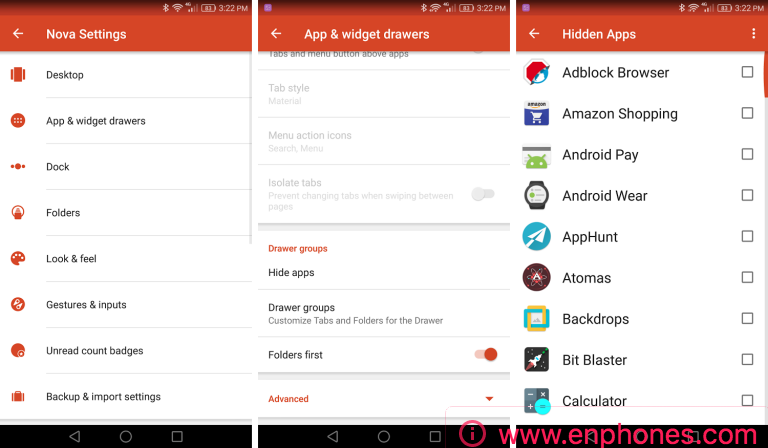 if you are asking how to hide apps in android menu without rooting or searching for an app hider without root apk, this article is for you, i will show you how to hide your apps from android menu without root needed. There is always many causes to hide you apps icons from the phone's menu, as there is always one buddy or the other who loves to snoop on your phone, WhatsApp chat, messenger, Gallery... So how we can hide these apps from menu, and yet make it accessible in a jiffy? 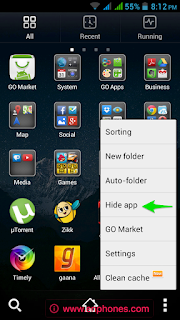 So you want to know how to hide apps on android? It’s super easy. There are basically two methods to hide apps on your android powered device without root, first using a third-party luncher app, and second using a freezer app to force hide it. Nova launcher is a fast and responsive launcher with its cool functionality. 1. First of all you need to download nova luncher from Google Play here. 2. Tap the home navigation button on your phone and chose Nova as your default luncher. 3. Navigate to Nova Settings > App & widget drawers > Hide Apps. 4. Select the apps you want to hide, and they won't show up on your app tray anymore. 5. To reveal an app again, simply return to the same menu and uncheck the desired app. Go luncher is a simple and easy to use. Very powerful. you can use it to hide your apps. 1. Like on Nova, set go-launcher as your default home app by pressing home and chose it. 2. open the app drawer and swipe left to access the hide apps feature. 3. Tick all you want to hide. Use any third party hiding apps, I recommend PrivateMe, it comes with tons of customization and features. 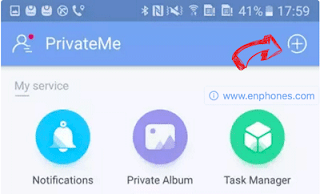 PrivateMe is a ‘container’ app for Android devices. It creates a virtualized, isolated environment and allows other apps to run inside. Then you can choose to create local apps into PrivateMe or create new apps in PrivateMe through App market. Hide new apps: type into search bar to find apps from App market and then install without records. Then you can access to this app through PrivateMe. Clone apps: select from App Creating list to create apps you’ve installed, tap the app icon then will automatically prompt to create the app – detect app security – created successfully. When creating completed, the app can be used in PrivateMe normally. Now you can run multi accounts at the same time on one phone with the cloned app. Hide local apps: after the app is created in PrivateMe, you need to uninstall it on your phone system, or later opening this app in PrivateMe to choose to uninstall from system to completely hide this app. Then you just access it from PrivateMe. Note: You should try to back up the data of previous one by yourself. Mock Notifications: If you want to manage the notification of hidden and cloned apps, then go to PrivateMe >Home > Notifications > select block/allow/mock. And you can go to the Mock Notification Setting to customize your mock content. How was this short tutorial? Did u find it useful? 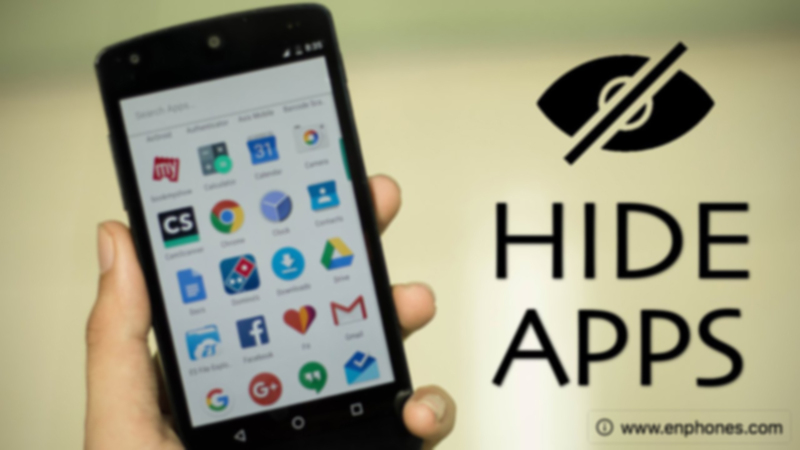 Please share your feedback in the comments below, and tell use if you have any more methods to hides applications on android.